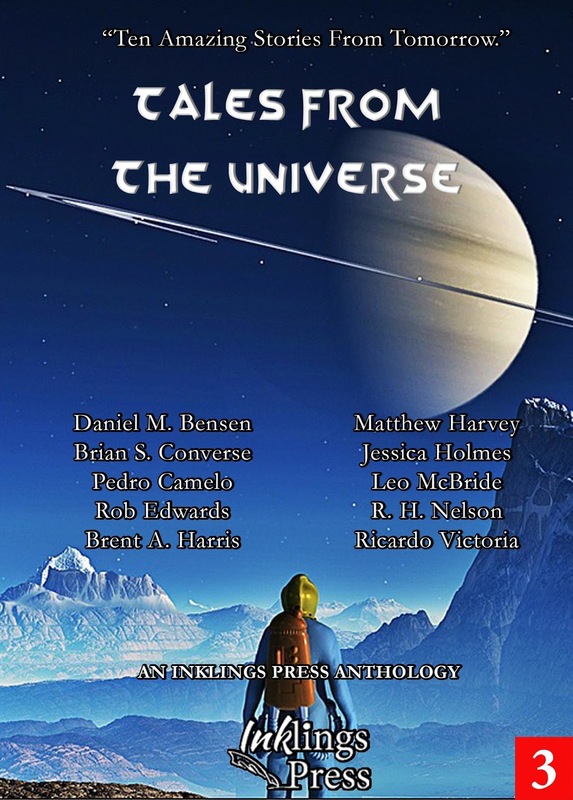 Tales From The Universe is now available, published by Inklings Press. Ten new voices in the world of science fiction cast their minds open wide and bring forth visions of tomorrow. Science fiction stories that deal with love, and fear, hope and despair, the ugliness of mankind and its beauty. Tales that reach to the farthest edge of the galaxy, and that face startling futures right here on Earth. These ten stories deal with artificial intelligences, cloning, aliens, war, peace and humanity's place in it all. We give you Tales From The Universe. The book features authors Daniel M. Bensen, Rob Edwards, R.H.Nelson, Matthew Harvey, Pedro Camelo, Ricardo Victoria, Brian S. Converse, Brent A. Harris, Leo McBride and Jessica Holmes. 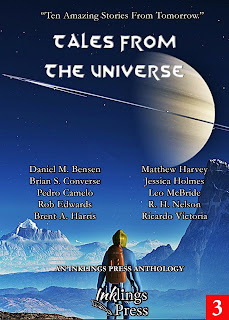 Tales From The Universe is available on Amazon here: Buy now. "These writers take us to places beyond the imagination, and make us think about things we have not dreamed of." - Sheila Martindale.